I have been meaning to come to G’raj Mahal for over a year now. I finally did something about it yesterday and set a dinner date there with my friend, Brittany. G’raj Mahal is unique in the Austin food trailer scene in that they have sit down service. 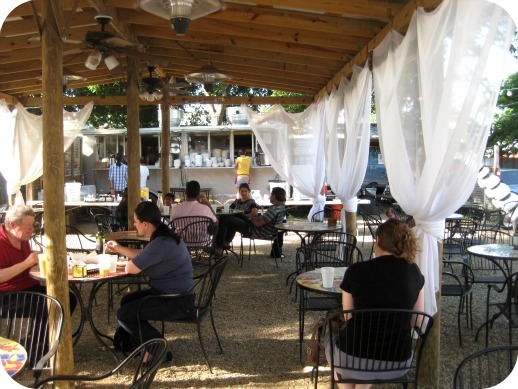 Nestled in the busy downtown area in Austin, you can hardly remember you’re in downtown once you happen across this little oasis, with shaded seating area that are dotted with romantic string lights as the night falls. When light is still out, the white draping curtains still give it a very romantic and almost tropical feel. It was over 90 degrees outside yesterday, but the ambiance made the heat an exquisite and pleasurable kind of pain, while the fan and shade made it a tolerable one. 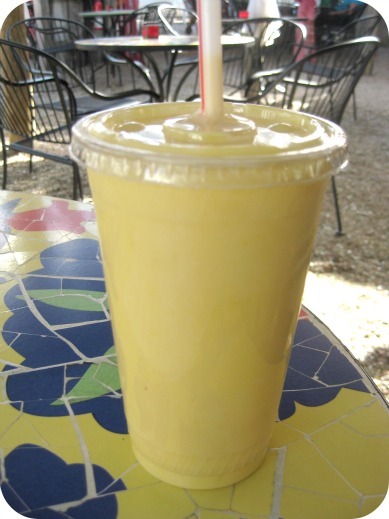 I already knew I was going to treat myself to a refreshing mango lassi before I even sat down. 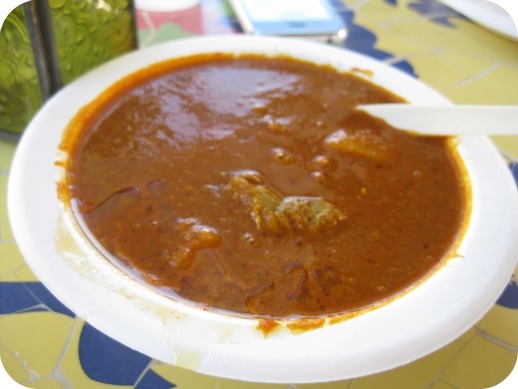 Not only was it just what I’ve been hankering for, but it served quite useful in dealing with the spicy heat of the vindaloo and Rechard Masala. Not pictured is the pretty pink Rose Un-lassi (also $4), called un-lassi to indicate there’s no yogurt in the drink. Made with rose syrup and flakes of ginger, it was a sweet and refreshing drink. If you order it, which I hope you do, please remember to stir every now and again because the ginger settles. 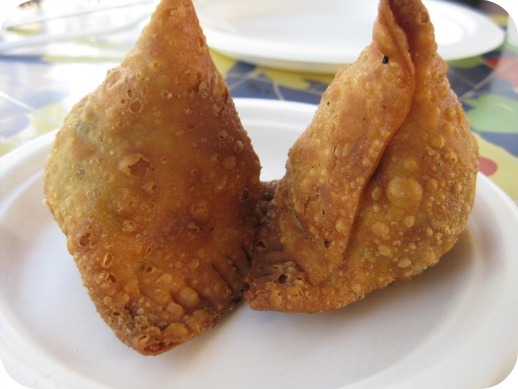 I always snack on samosas when I eat Indian. It’s my personal mandate. Always partake in samosas when possible. 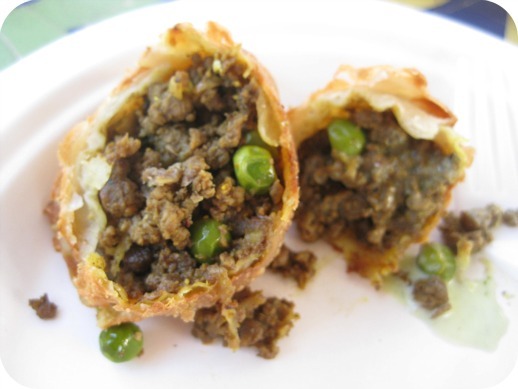 This was the first time I’ve had a lamb samosas and it was the perfect prelude to our meals. So all the curries at G’raj Mahal come in three different spice levels, not spicy, mild, and spicy, except for the vindaloo. 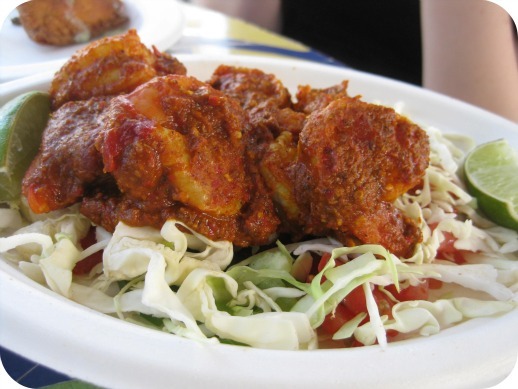 The vindaloo only comes spicy. I have a higher tolerance for capsaicin than most of the people I’ve encountered during meals. That said, dude, the vindaloo was very spicy. It took a few bites and a few gulps of my mango lassi to adjust to the heat. Once adjusted, it was a very satisfying dish. I might even order again. This is one of their specials and also only comes spicy. The shrimp, coated in red chili paste was fresh. Once we adjusted to the heat, it was worth it and filling. 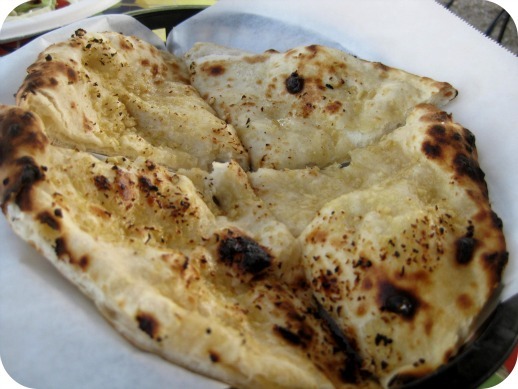 The garlic naan was fluffy and the garlic flavor, nice and strong. It complemented their food quite nicely but I can totally see myself just snacking on this on its own. So yes. The 90 degree weather compounded with the spicy orders were painful but the sweet ambiance, lassi and un-lassi drinks, attentive service, fluffy rice and naan soothe the soul and held our hands through the suffering. G’raj Mahal has a knack for making you suffer and liking it. I really can’t wait to come back and let them torture me some more. If you are not the kind to like pain with pleasure, come during cooler temperatures or have them deliver (yes! delivery is available). They close at midnight on week nights and 3 am on weekends. 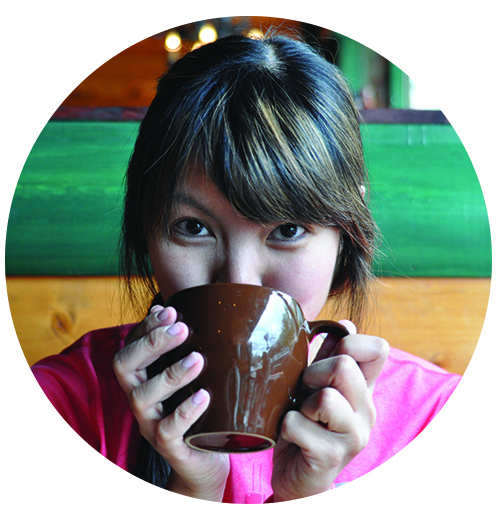 Most of the menu will accommodate more capsaicin sensitive palates.